Are Kybella Treatments Right For Me? Kybella is a fairly new drug, recently approved by the FDA, for the treatment of fat around the neck, otherwise known as a double chin. Fat around the neck can be hereditary, or caused by weight gain or growing older. 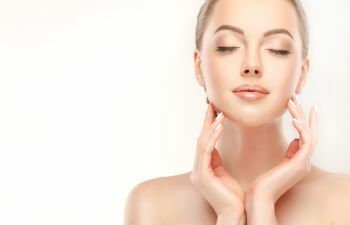 Kybella has become a popular alternative to surgical chin lift procedures because it is completely noninvasive, does not require surgery, and gets exceptional results. The active drug in Kybella is a synthetic version of a chemical called deoxycholic acid that is naturally produced by the body. When it is injected into the fatty area just below the chin, Kybella attacks and destroys the cells that store fat. Once these fat cells have been treated with Kybella, they can never again store fat in the neck. The results are permanent. Another benefit to Kybella is that it is a simple, comfortable, in-office procedure. Kybella is called a facial injectable, which means that it is injected in the exact area where it is needed. In the case of a double chin, small injections are placed directly into the fat pad of the neck. The procedure is well tolerated. With very mild side effects, most people resume normal activities immediately. Depending on the amount of submental fullness to treat and the amount of jaw definition desired, between two and six Kybella sessions will be all that is needed to get positive and lifelong results. Sessions are spaced at least a month apart. Does excess fat under your neck bother you? Is a double chin impacting your confidence? Contact the Aesthetic Institute to learn more about how to successfully treat a double chin using Kybella injections. Our expert aestheticians are passionate about using products that are scientifically proven to enhance your natural beauty and give you exceptional results. We offer a comprehensive menu of facial services in our state-of-the-art medical spa in Beverly Hills. We look forward to customizing your treatment to meet your specific goals. Call us today!